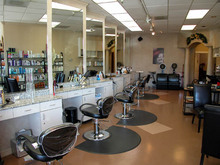 Lily Salon & Day Spa is a full service salon and day spa that has been serving the Bay Area for more than 20 years. We are dedicated to the idea that our spa be a place of rejuvenation and relaxation, where every client is given personal, devoted attention. We invite you to come and enjoy a wide variety of exclusive facials, exquisite massages, and finest body treatments. Relax and indulge in our signature services. Let us take you on an unforgettable journey of mind, body, and soul. Prepare for a pampering experience of a lifetime that will rejuvenate and revive your stressed body. Our trained professionals will personalize your treatments to suit your uttermost spa needs. You will leave the spa feeling energized and revitalized.